Stamps should be properly stored in order to keep them safe. Stamp albums or stock books (see below) are excellent places to store stamps. Stamp albums are basically sturdy binders with card stock pages inside. Stamp albums allow you to display your stamps in an attractive manner, and usually assign spots for each stamp to be placed. I use Mystic’s 3-ring albums for United States stamps. Overall they are fantastic albums, and I highly recommend them. Much like an album, a stock book is a “home” for stamps. 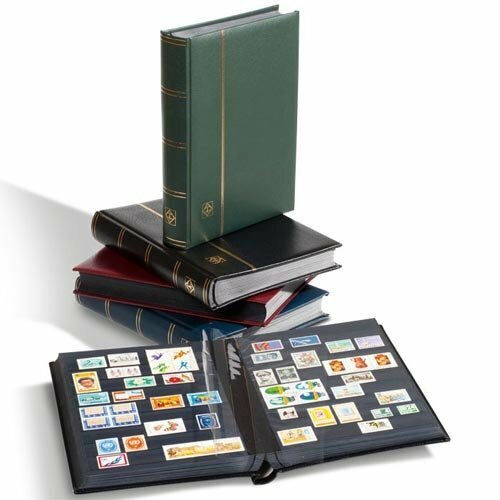 Stock books are perfect if you want to customize how to display your stamp collection, because they don’t assign a specific spot for each stamp. With stock books, you can arrange your stamps however you like. 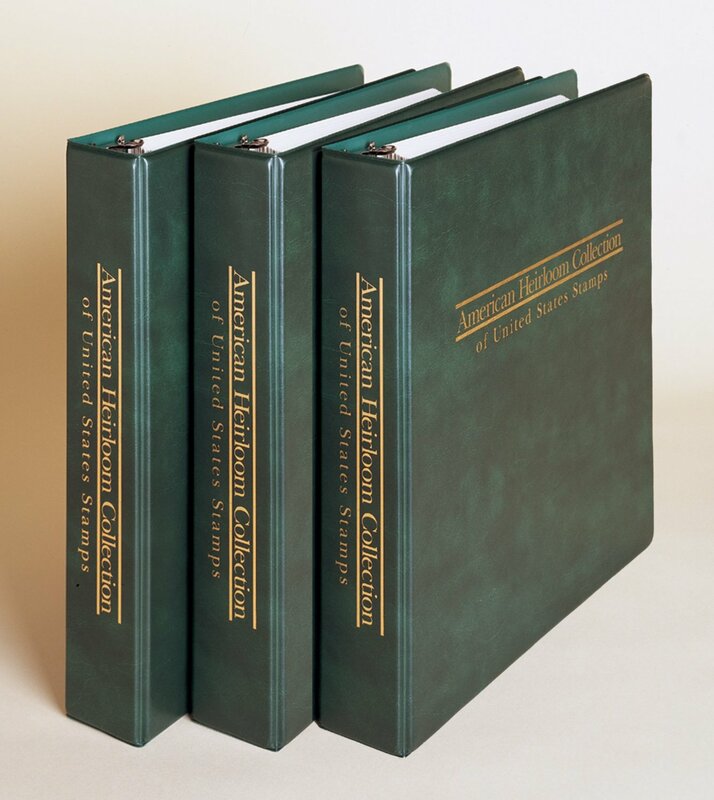 Perhaps the biggest advantage of using a stock book instead of a stamp album is that you don’t have to worry about using mounts or hinges in order to display your stamps. Stock books have little plastic “sleeves”, which allow you to easily slip your stamps in place. Here’s a great stock book for sale on Amazon right now. Mounts and hinges are used to attach a stamp to an album page. Mounts are a little “frame” for stamps, and are ideal since they don’t cause any damage to stamps. Hinges are also used to attach a stamp to an album page, but in order for them to work, they must also be attached to a stamp. This can ultimately cause severe damage to the stamp, and will drastically decrease its value. Many people only collect “never hinged” stamps. Never hinged stamps always command a high premium over “hinged” stamps. The only reason you’d ever want to use a hinge, is on an extremely common stamp that is virtually worthless. Even on low value stamps, hinges are not ideal. Mounts are. These are the mounts I primarily use. 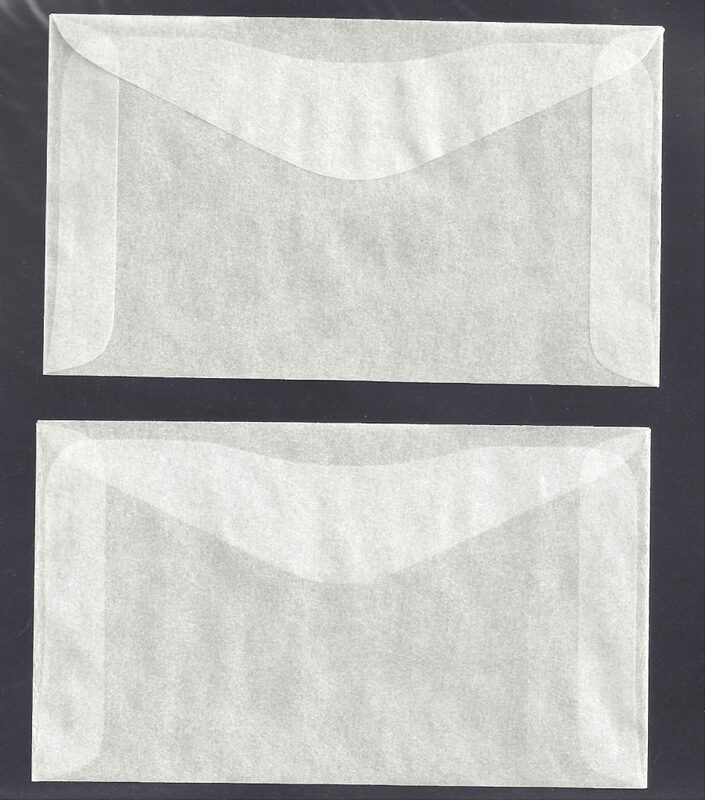 Glassine envelopes provide yet another way to store your stamps. They are generally used to store duplicates (extra copies of a stamp you already have). Although you can keep your entire stamp collection in glassine envelopes, I wouldn’t recommend it. Stamp albums or stock books should be used for housing your collection, and glassine envelopes should be used for duplicates, or for stamps you don’t want to put in your album/stock book. 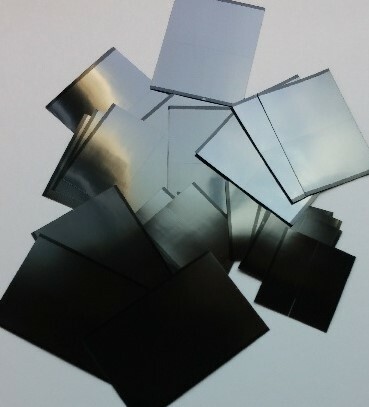 There are many different sizes of glassine envelopes to choose from, and depending on your needs one size may be better than another. In general, these are a good size for pretty much any stamp. Stamp tongs, which are basically special tweezers, are used to handle stamps. You wouldn’t want to touch a stamp with your bare finger, because it will get skin oils on the stamp. Over time, skin oils will ruin stamps. 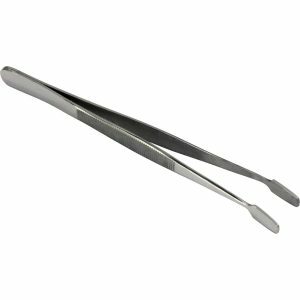 Stamp tongs won’t cause any damage, which is why they are the preferred method for handling stamps. These are the exact stamp tongs I use. Stamp catalogs allow you to properly identify stamps. Stamp catalogs also show an approximate value for most stamps, so you can get a pretty good idea of what a stamp’s value is. I personally use the Scott Specialized Catalog, which is perhaps the most popular stamp catalog for United States stamp collectors. 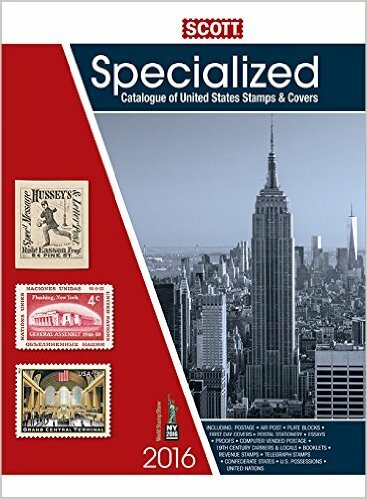 Each year a new Specialized catalog is published in order to keep up with the current stamp prices, but since brand new stamp catalogs are so expensive, it is perfectly fine to purchase one that is several years old. This is especially true if you’re not collecting current issue stamps. I use this 2013 catalog which is still accurate on nearly all the stamp values. Magnifying glasses are used to find fine details on stamps, which would otherwise be almost impossible to spot with the naked eye. Sometimes the only difference between an extremely common stamp and an extremely valuable stamp is the presence of a tiny speck of ink. So you can see why magnifiers are so important when it comes to identification. 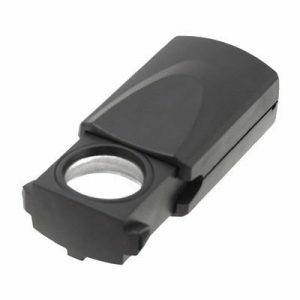 I use a 30x magnifier, which is enough to spot every single detail on a stamp. A perforation gauge is used to determine the perforation count on a stamp. Perforations are those little holes between stamps, and their purpose is to make the separation of stamps easier. Depending on the perforation count, a stamp can either be almost worthless or almost priceless. This is a good, sturdy, and accurate perforation gauge. Many stamps have something called a “watermark”. Watermarks deter people from making counterfeit stamps. Watermarks, simply put, are a faint design made in paper during manufacture, which is visible when held against the light. However, watermarks are generally difficult to spot on stamps, so it’s not recommended to hold a stamp up to a light source in order to determine whether a watermark is present or not. 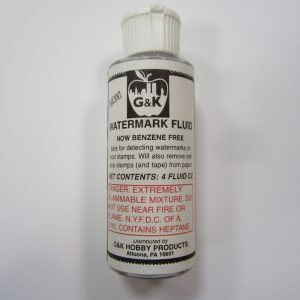 Watermark fluid is specially designed to make detecting watermarks a snap (although lighter fluid works just as well and won’t cause any harm to stamps). To check for watermarks with watermark fluid, you simply lay the stamp face-down in a watermark tray, then let the fluid drip onto the stamp until it’s completely submerged. Watermarks will appear slightly darker than the rest of the stamp. Watermark fluid and a watermark tray can both be found on Amazon. Well, that about sums it up. Those 10 essential tools will make stamp collecting more enjoyable, profitable, and easier. Thanks for reading, and if you have any questions or thoughts, please leave a comment below. Also if you’ve had any personal experience using these stamp collecting supplies, feel free to let me know what you think. I’d love to hear from you! Previous PostDiscount Postage – Never Pay Full Price For Stamps Again! Whoa, I’m seriously overwhelmed. Stamp collecting is no picnic! Amazing list Ian, as usual. The amount of care stamp collectors put into stamps is remarkable. The tongs and mounts are one thing, but by the time I reached the perforation gauge, my had dropped. Can stamps really be rendered worthless by touching them? Is that why so many stamps are dirt-cheap? The magnifying glass is particularly noteworthy. Even if you have to magnify 30 to see an imperfection, it’s still an imperfection. Isn’t it impossible to find a truly flawless stamp? One without skin oil, perforation, or ink? Thanks for the read Ian. I learned so much from this! Very informative post Ian. Can really see that you have a big passion for stamp collection. I was wondering a little about how the value for stamps have been over say the past 15 years? I can see that it’s probably gone up in price like most other collectible items have. But is it with a lot? Is this more a hobby for the average person or is there some serious money in it? My dad used to collect stamps when he was younger that’s probably worth a lot today. Do you have any site or ways of looking up the value of really old stamps? Most of them are from Europe. Over the past 15 years or so stamp values have definitely gone up, but they’re not drastically different. This hobby isn’t meant to be enjoyed by any particular “type” of person. It’s meant to be enjoyed by everyone. Even with a tight budget it’s very easy to collect stamps. But yes, there can be some serious money in it. A couple years ago there was a stamp that sold for $9.48 million at auction, and there are several other stamps worth over a million. The best way to find the value of stamps is to get a stamp catalog. Stamp catalogs can be pricey, but will really pay off in the long run. 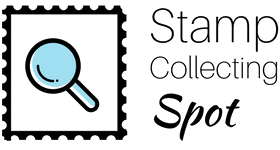 An alternative is to ask on stamp forums, where there are many expert philatelists (stamp collectors) willing to help out. Thanks for the comment Marcus, and have a great day! A tip for acquiring stamp catalogs. Local libraries usually carry Scott Stamp Catalogs and often retain only 1 or 2 of the most recent years’ publication and throw away or sell older ones as ‘used books’. Check with your library to be sure. Great tip, Daniel! I personally know of collectors who’ve done this.